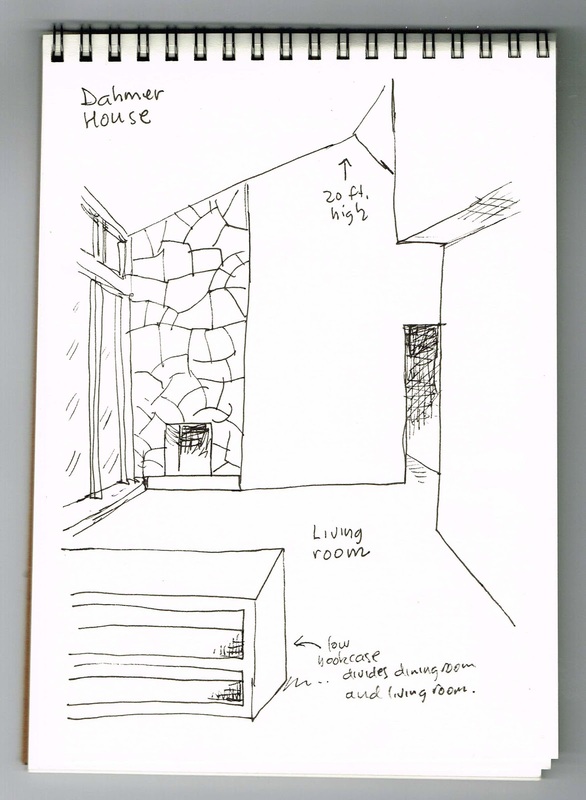 Above: sketchbook drawing of the interior of the house. As I mention in the book, Dahmer's boyhood home was purchased by a dude I know about five years ago. This unexpected stroke of luck allowed me access to the interior of the house where a good deal of the book is set. I hadn't set foot inside this structure since high school, so at that point I was operating on fuzzy visual memory alone. 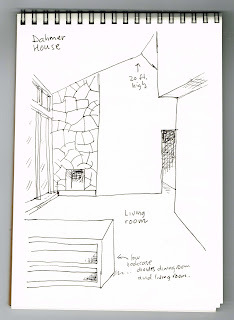 Being able to take a sketchbook inside was a key part of my research, even though at that time I hadn't yet decided to finish MFD. In fact, I was still working on my previous graphic novel, Punk Rock & Trailer Parks. But you have to take advantage of opportunities when they arise, and the long history of MFD is dotted with similar events. Chris Butler is a musician of some repute. You may remember his band, The Waitresses (above), who scored several hits in the early 80s. Before that, he was a member of the art-punk band, Tin Huey. And lately he's been making a glorious noise with Chris Butler and the Cranks. Who else but a rock star would buy an infamous house like this? And, as I've told him, what better way to chase off bad karma than with music? I'm listening to the NPR segment now. Um, creepy. Did Chris put that bloodspot over the slider bar so doofs like me couldn't move it back in order to review the stuff they just listened to but didn't hear?